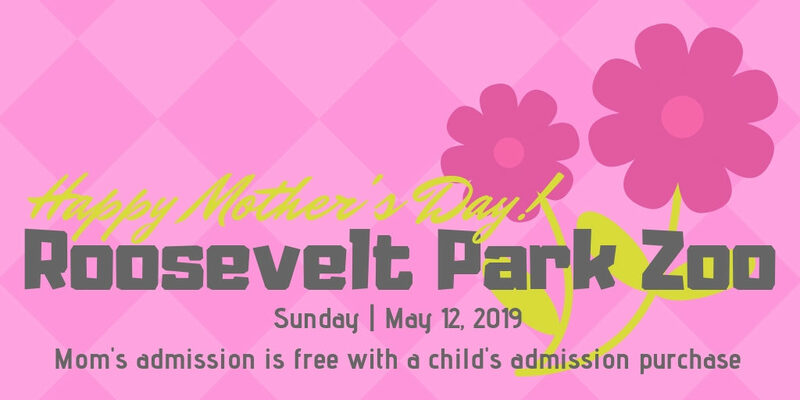 Animal acupuncture is among the many animal care skills Dr. Tara Reilly is adding to our team at the Roosevelt Park Zoo. Dr. Reilly completed her Doctorate of Veterinary Medicine in the spring with an emphasis in Exotic Animal Medicine at Colorado State University. 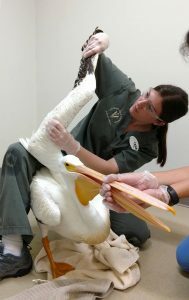 She went on to complete a Wildlife Medicine and Rehabilitation internship in Minnesota and most recently earned a certification in Animal Acupuncture. She has a special interest in progressive integrative therapies, physical therapy and rehabilitation and geriatric medicine. Dr. Reilly is from Fort Collins, Colorado, where she gained her experience in ranch management. She is a horse trainer, horse riding instructor and a search and rescue K9 handler and trainer. 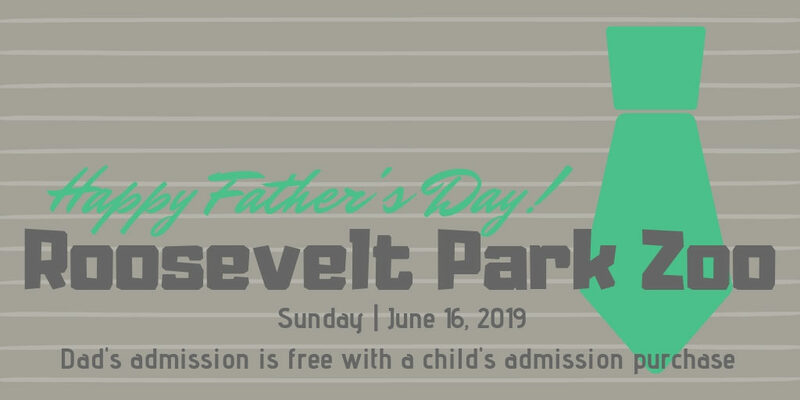 We are thrilled to welcome Dr. Tara Reilly to the team at Roosevelt Park Zoo where she is a full-time veterinarian on Zoo grounds. Her animal care knowledge in everything from nutrition to pain management to medicine to quality of life is a valuable asset to our Zoo. Her commitment to leadership, teamwork and her passion for conservation and education is a valuable asset to our community. Our Okapi is ready for visitors! One of the first winter-friendly viewing spaces was designed for the Okapi habitat. It’s too cold for the Okapi to be outside, however, glass viewing allows for the closest interaction with the Okapi even in the coldest months. In addition to animal care priorities incorporated in all our habitats, the Okapi indoor habitat was designed with two visitor-friendly applications in mind: it meets modern zoology practices for a visitor’s clear view, free from fence lines; and the winter viewing area helps us to become the year-round facility we are striving toward. Akili is a 17-year-old male Okapi. He is most recently from Florida where he played a key role in the conservation of Okapi, an endangered species according to the IUCN Red List. Now retired from the conservation breeding program, RPZ is the 27th AZA accredited zoo in the country to have a habitat approved for Okapi. Here, Akili will be an ambassador promoting education and conservation for his species in the wild. Roosevelt Park Zoo staff are saddened to announce the death of Bactrian Camel, ‘Poopy.’ Late in September, the 18-year-old male camel passed away during the night. Exam results show the camel likely died from natural causes due to advanced age. Poopy was born here at RPZ. His true name was ‘Hufferja,’ named for the veterinarian who assisted in his delivery. Keepers bonded with the new camel, affectionately calling him ‘Poopy,’ and the name stuck. He was halter trained at a young age and frequently traveled to schools as a part of RPZ’s education outreach program when he was small. A female companion, Mulan, died this spring. It is unlikely Poopy’s death is related to her passing. Both camels were advanced in age and receiving geriatric medical therapy. 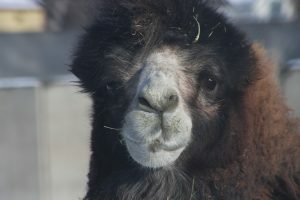 Bactrian Camels are classified as ‘critically endangered’ on the IUCN Red List. The Bactrian Camel has two humps on its back. Most of the population is domestic. The species is native to Central Asia, nomadic, with a tolerance for a wide climate range. 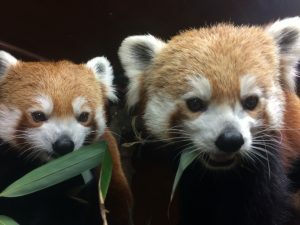 Roosevelt Park Zoo is open through the winter from Monday-Saturday from 10-3. Roosevelt Park Zoo welcomes our newest addition: a baby giraffe! Our giraffe calf was born on Thursday, September 21 in the outdoor area of the RPZ giraffe habitat in the company of a handful of zoo guests whose visit happened to be well-timed. Zoo staff watched excitedly but neither baby nor mother giraffe required assistance in the successful birth. Our baby giraffe is the seventh calf born to RPZ adult giraffe residents Kianga and Mashama. 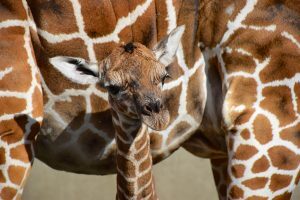 Independent parenting and successful pregnancies have solidified Kianga’s position as a highly ranked female in the giraffe Species Survival Program. RPZ staff members are asking our community to help us name the new baby! There are three names to choose from: Akono, Macario and Ramses. 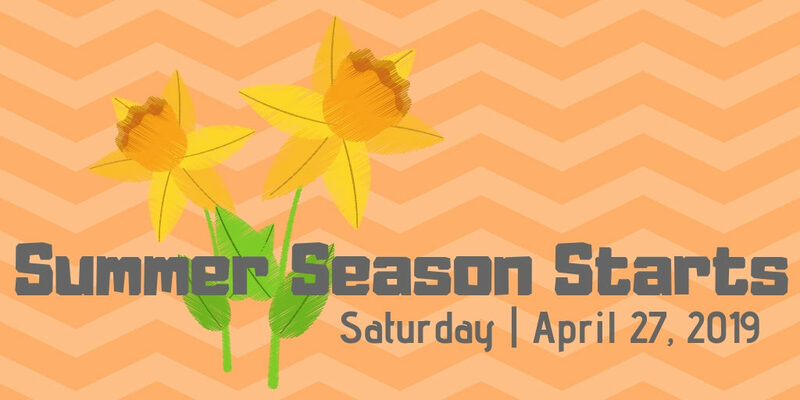 Stop by the front desk where a cash donation to the Zoo will represent your vote. Voting will close on October 5th and his name will be announced on October 6th. Roosevelt Park Zoo is proud to announce the arrival of Akili, a 17-year-old male Okapi. Okapi is an endangered species according to the IUCN Red List. 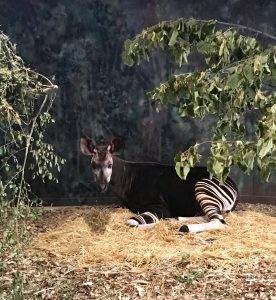 Now retired from the Association of Zoos and Aquariums Species Survival Plan conservation breeding program, RPZ is the 27th AZA accredited zoo in the county to have a habitat approved for Okapi. Here, Akili will be an ambassador promoting education and conservation for his species in the wild. Akili is acclimating to his new home in a newly renovated habitat. He will not be on view for the public for several weeks. 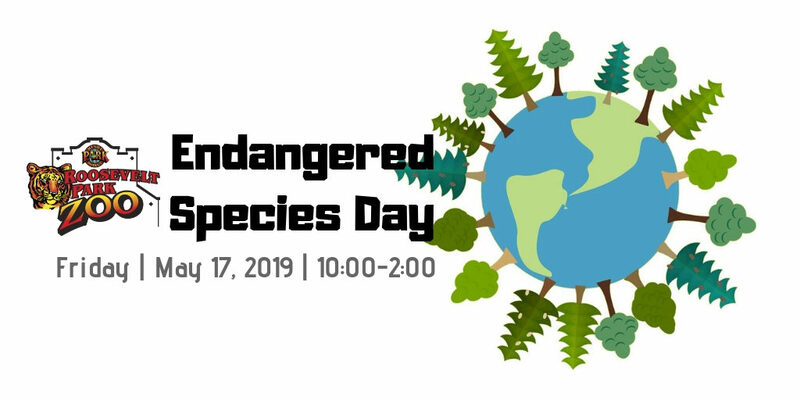 During that time, Akili will be inside bonding with RPZ Keepers and veterinarian Dr. Ann Olson will be monitoring his health during his quarantine period. We are proud of and grateful to Minot Park District staff who have worked tirelessly to complete our Okapi habitat. Maintenance staff led the renovation of the barn to safely accommodate a larger animal and include public winter viewing of the Okapi. 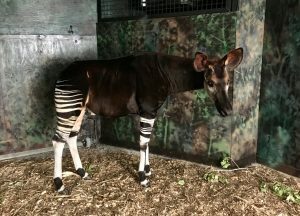 Keepers painted the interior of the habitat to reflect the dark underbrush of the Congo and included several enrichment opportunities to encourage the Okapi’s natural browsing abilities. 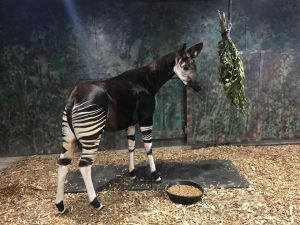 Forestry staff planted trees approved for the Okapi’s diet that will thrive in our North Dakota environment and they are exploring creative ways to protect the trees into maturity. Horticulture staff recycled the sod from Corbett Field prior to the turf transition making Akili’s home possibly the greenest in Minot. We appreciate the enthusiasm in our community leading up to his arrival and we look forward to being the forever home for our Okapi. 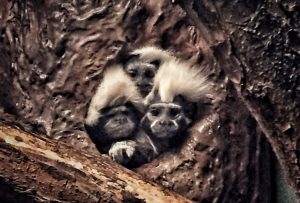 Our male Cotton-Topped Tamarin was matched for a breeding recommendation in San Antonio, Texas. We will miss Hemker and his often sour door-greeter face, but he will be doing the most good for his South American species further south from here. 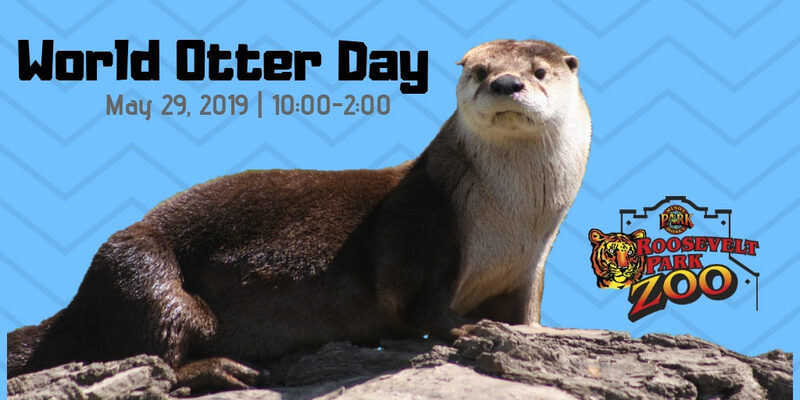 Fun fact: Hemker was named for Hemker Park & Zoo in Minnesota after all their help through the 2011 Mouse River Flood. Mokolo was born Christmas Day 2015, now big enough to leave his parents. 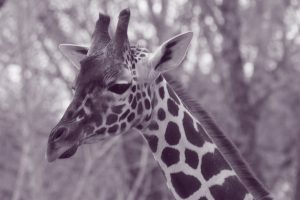 Mokolo has moved to Elmwood Park Zoo in Norristown, Pennsylvania, where he joins a young bachelor group of giraffes. Best of luck, dear Mokolo. Bickle, Andy & Spelch are outside every day now, barring bad weather. They’re borrowing the traditional goat pen while the goat bridge is under construction. 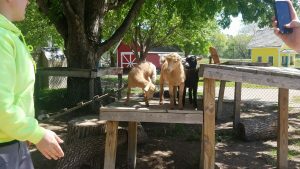 Longtime RPZ goat resident Ernie is rooming with the sheep for a bit while the babies enjoy his jungle gym. Fred & George are close enough to touch with our new modern glass viewing feature. Glass makes the additional perimeter fence unnecessary so guests can be closer than ever during our red panda training sessions. Spanky is 33-years-old. 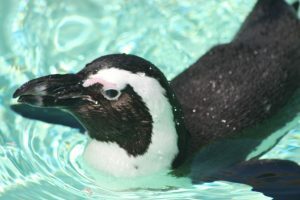 We’re doing our research before his June birthday, but we think he’s the oldest male penguin in the U.S. He sees an ophthalmologist for his aging eyes but overall, he’s in great health. With his advanced age, he is a bit more sensitive to quick increases in temperature. That’s why on Saturday, when the temperature jumped from 60-85 for the first time this season, we chose to keep him inside under veterinary care. Community Rocks 2017 raised $25,000 to bring mini-goats to our Children’s Zoo. Designed by Anderson, Wade & Whitty – it will be A2 Customs taking the lead on bridge construction. Construction began the first week of May.